Luis Leguia was born in Los Angeles, California, and trained at the l’Ecole Normale in Paris, and at Juilliard; his teachers included Arthur Van der Bogaerde, Kurt Reher, Andre Navarra, Leonard Rose, and Pablo Casals. Mr. Leguia has played concerts and solo recitals on several continents, making tours through Europe, South Africa, Lebanon and Ethiopia. He has made 8 tours of South America and has performed widely in Canada and in the United States. Mr. Leguia joined the Boston Symphony Orchestra in 1963. He has given numerous first performances, including the Boston premiere of Schoenberg’s Cello Concerto and the world premiere performances of works by Walter Piston, Robert Parris, and Vincent Frohne. Robert Evett composed a cello concerto for Mr. Leguia, who gave the world premiere of that composition at the National Gallery of Art in Washington D.C., on the occasion of its thirtieth anniversary. Other composers who have written works expressly for Mr. Leguia include Walter Piston, Edgar Valcarcel and Josep Soler. While on sabbatical from the Boston Symphony Orchestra during the winter of 1984-85, Mr. Leguia performed the complete cello suites of J.S.Bach in Madrid, Spain. He also made recital and concerto appearances in Portugal, Berlin, Tubingen and Belgium, and did research on Spanish music for the cello. From his standpoint as a working musician, Leguia is keenly aware of the advantages to this new instrument. “For instance, when you put your bow out on the point on the A string, your bow arm is closer into your body, thus reducing the sore shoulder syndrome that any professional cellist gets after many years and many hours per day of performing. 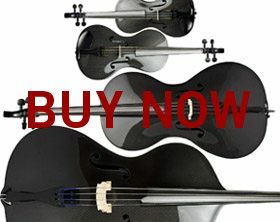 This is very helpful with that, as well as rotator cuff and tendonitis.” In fact Jerry Appleman, assistant principal of the New York Philharmonic, has purchased one of Leguia’s carbon fiber cellos and says he can now play for hours longer without any pain. The cello’s development evolved over the course of eleven years. Leguia made his first prototype from scratch out of fiberglass. “It was a typical cello with cornices and a scroll,” he says. “It looked like and was built like a normal cello. My second attempt was a different model with no cornices.” Looks, however, aren’t the name of the game. Leguia’s goal was to create an instrument that would sound as good as any world class cello. “I’ll tell you, the first one didn’t sound all that great,” he admits, although his wife, Stephanie, is quick to note that she was still stunned when she heard it. “It really sounded like a cello,” she maintains. The second version was an improvement, but still not what Leguia was looking for. “But the third one had a wonderful quality. The final cello was developed with a one-piece back side and neck; the top as the second piece; and the fingerboard as a third piece. “It’s simple, it’s beautiful, and it works well,” states Leguia. Once he was ready to begin production, it was his connection to sailing that led Leguia to Steve Clark, a master in the production and fabrication of carbon fiber products and chairman of Vanguard Sailboats, an industry leader in supplying boats, accessories and services to the small sailboat market. Clark, who also designed and built the “C” class catamaran, Cogito, which holds the Little America’s Cup title, guided Leguia through the final stages of developing what is now known as the Luis & Clark Cello. Upon completing the first production model, Clark urged Leguia to put its durability to the test. “I want you to abuse this,” he told Leguia. So the instrument was strapped to the top of his car, sans case, and Leguia headed off to Tanglewood. Upon arrival, he took it off the car and tossed it into the grass for the better part of a week where it was alternately rained on and left in the hot sun. “It was just the same except the pitch went down by a third,” Leguia reports with satisfaction. “You wouldn’t want to do that with a nice Italian instrument,” Leguia says, pointing out the obvious. “They’re very susceptible to changes of heat, cold and humidity. 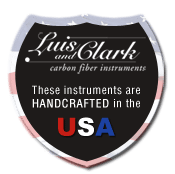 They’re always popping open, and they’re so complicated and expensive to repair.” In the case of the carbon fiber model, not only are repairs like this avoided, but so is the costly insurance required of professional musicians on their instruments.